I am delighted to host guest-blogger Victoria Wilcox who has just published what promises to be a fascinating read, a novel based on the true story of Doc Holliday-- one wild dentist, I'll say. Usually we think of Doc out west, slinging a gun, but he hailed from the Old South and had some surprising connections there, as Wilcox explains. And she ought to know: not only did she write the novel about him, but she is founding director of Georgia’s Holliday-Dorsey-Fife House Museum, the antebellum home of the family of Doc Holliday. It was her work with the house that led to eighteen years of original research and inspired her novel trilogy, Southern Son: The Saga of Doc Holliday. 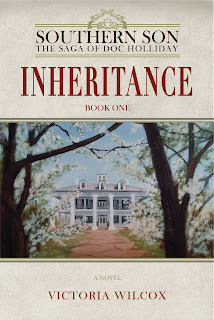 Inheritance, the first book in the Southern Son saga was published this month by Knox Robinson Publishing. Who would have guessed, when I moved to Georgia hoping to find a few ghosts of Gone With the Wind, that my life would be forever haunted by Margaret Mitchell’s bestselling novel of the Old South? I was just a fan like any other, having read the book a few times and watched the movie a few times more, the only exception between me and other fans being an interesting calendar connection: I was born on Margaret Mitchell’s birthday, November the 8th. But when my love of history and a project to save a Gone With the Wind style historic site led to my novel trilogy, Southern Son: The Saga of Doc Holliday, the epic story of the South’s most famous Western legend, our shared birthday began to seem downright spooky – November 8th was also the date that Doc Holliday died. 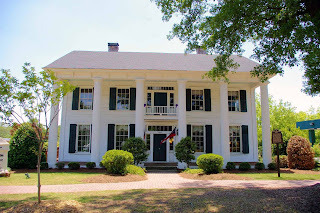 The historic site was the Holliday-Dorsey-Fife House, the antebellum home of Doc Holliday’s cousins in Fayetteville, Georgia, a classic white-columned Southern mansion where Doc played as a child, and where he began a young romance with his cousin Mattie Holliday, the girl who would become the model for Melanie in Gone With the Wind. The Hollidays were kin to Margaret Mitchell, and she was said to have visited the house and suggested it as a filming site for the movie version of Tara. The place is even mentioned in the first chapter of Gone With the Wind, as Scarlett O’Hara attended the Fayetteville Academy, a private school once housed there. While Scarlett was fictional, however, there was a real Southern belle who really went to the school and had a lot in common with Scarlett: they both lived on big cotton plantations in neighboring Clayton County, they both had feisty Irish fathers named Gerald, they both had genteel mothers who had green velvet drapes in their parlor windows, they both went to Atlanta during the Civil War and survived with a little bit of grace and a whole lot of “gumption.” The real girl was Annie FitzGerald, and she was Margaret Mitchell’s grandmother. It’s no wonder Gone With the Wind seems so real to its readers. There was a lot of truth behind its story of the Old South, and a better-than-fiction link to the Wild, Wild West. These ghosts have a great story to tell! The Margaret Mitchell House Museum, the Atlanta apartment when the author typed her epic tale. Scarlett O’Hara’s Atlanta, an interactive map that takes you into the 1860’s city. Gone With the Wind Scrapbook, a fun collection of all things Scarlett. Gone With the Wind Online Exhibit, movie memorabilia from the David O. Selznik collection at the Harry Ransom Center, University of Texas at Austin. Gone With the Wind Background from the AMC Filmsite Movie Review, gives a complete synopsis of the movie for who haven’t watched it but want to sound like they have. 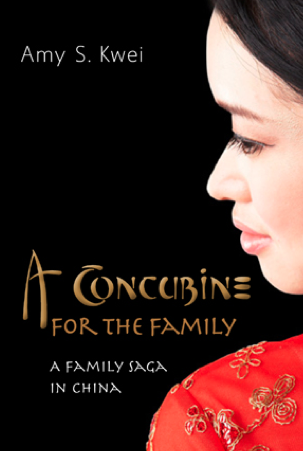 >Recent guest-blogs include Joanna Hershon with 5 links from A Dual Inheritance that Traverse the Globe and Amy Kwei with 5 recommended books on China. >Click here for the complete archive of Madam Mayo's guest-blogs. 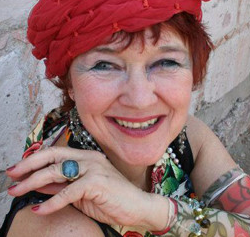 My amiga Patrice Wynne, owner of Abrazos, is featured in this NYT article on retiring in Mexico. I say she has it totally right. News flash: El Centro de las Artes in San Miguel de Allende is getting a big boost from the Mexican government. This is going to be bodacious. 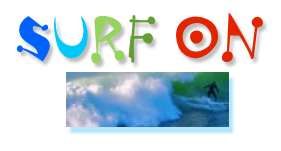 Check out the website of Lulu Torbet, an amazing artist and (ghost writer too) with beautiful energy. Sign up for the newsletter from the Galeria Atotonilco, you will be amazed. This is folk art above & beyond the stuff you'll find in tourist shops. 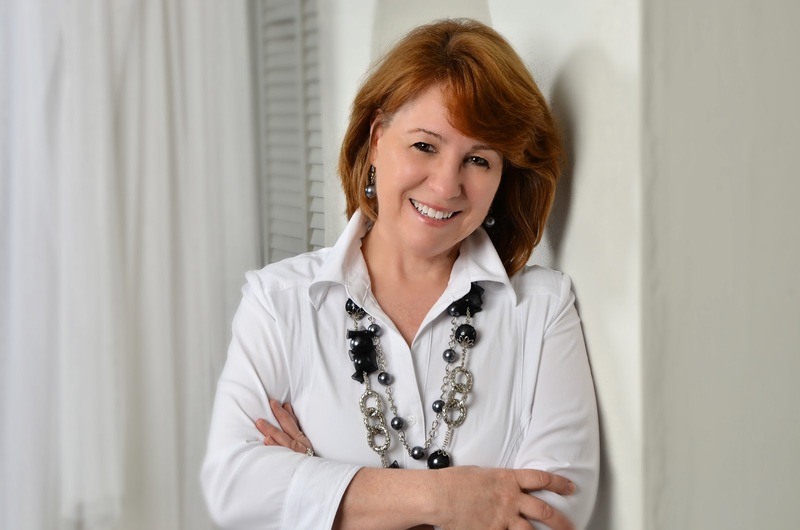 Maria Espinosa on memories of Mexico and writing a first novel. My favorite San Miguel painters: Mariló Carral, Edgar Soberón, and Kelley Vandiver. 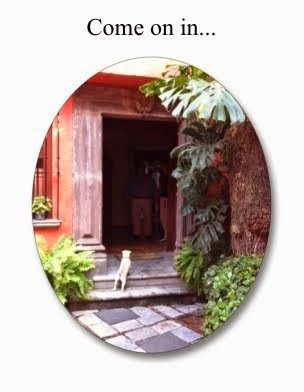 My talk for PEN San Miguel / Sol Literary Magazine in San Miguel's Teatro Angela Peralta, about a unique Egyptian-inspired teaching house on the US-Mexico border: A Visit to Swan House. 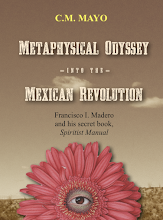 And my other talk earlier last year on my translation of Spiritist Manual by Francisco I. Madero, leader of the Mexican Revolution of 1910. And (yep, I really do get to SMA), my talk on the novel based on the true story, The Last Prince of the Mexican Empire. My interview with Edward Swift, SMA resident, artist and author of many delightful books including one of my all-time favorite memoirs, My Grandfather's Finger. And finally, check out Sol, the magazine of literary writing from Mexico in English. P.S. 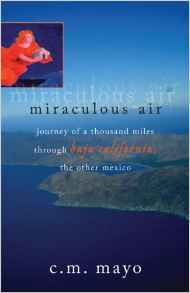 New on my webpage, an annotated list, embryonic and to-be-frequently updated, of recommended books on Mexico. Yes, the Marfa Mondays podcasts will be resuming shortly. 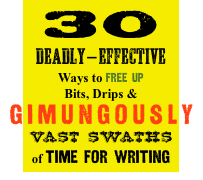 My amiga the crackerjack memoirist and writing teacher Sara Mansfield Taber has posted an oh-so-true toe-curling but chuckle-worthy blog post over at She Writes: "Writing Is a Humiliation Banquet." (With a wink): I'm getting away with it... How about you? (Breathily, Nancy Reaganqesque): Why my dear, that's like asking a woman her age! How have you been? (Beaming, ready-to-judo): Oh, great! You know, I think everyone should write a book. Do you have a book you'd like to write? (Shrugging, Jimmy Fallonesque): Well, I haven't moved full-time onto my yacht-- yet. But thanks for asking. How are you? (Gleaming stare, revealing teeth): Very well... in fact... my doctor has been able to... reduce my meds... (Continue staring silently for three beats...) Just kidding! How are you? Wonderfully! Thanks for asking! Oh, and by the way, I'll be doing an event at the bookstore next Thursday at 6 pm, it would be wonderful if you could come! It's been such fun! Oh, and by the way, if it works for your book group / workshop / class, I'd be delighted to come talk about the book! "Why, golly gee, numbers just go in one ear and out the other." When a writer has spent several years working on a book she has more emotion invested in it than the casual reader would guess. So if it's another writer who is asking and your book is doing splendidly, why rub in the salt? Or, more likely, since your book isn't selling anything like Dan Brown's latest, make your neighbor (the divorce lawyer who is going to write a thriller "one day") view you with head-shaking pity? But I don't find writing a "humiliation banquet," quite the contrary. I am grateful that I have the skill and (most days) focus to write and that, in one way or another, my work finds readers. I'm always happy to see more royalties but I don't measure my success as a writer by numbers alone. A single reader who approaches my work in a spirit of respect and intellectual curiosity, and to whom my book makes a meaningful difference, is worth more to me than 10,000 readers who just want a beachside page-turner. So how does one make a living? All I can say is, if you want to make a living writing literary books you'll need to be (a) very lucky (b) very persistent (c) very productive (d) very hard-headed and (e) totally flummoxed by shopping (except for books, of course). And by the way, most literary writers don't make a living from their books but from teaching, freelancing, editing, and/or other work / income. The "humiliation banquet" comes with the promotion part... and for that, thank goodness for the vast and ever-growing literature on sports psychology! P.S. Check out my podcast interview with Sara Mansfield Taber about her fascinating memoir on "Conversations with Other Writers." 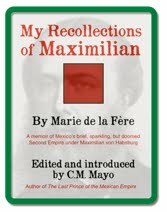 New over at my home page, www.cmmayo.com-- in answer to the frequently asked question, what books can I recommend on Mexico? 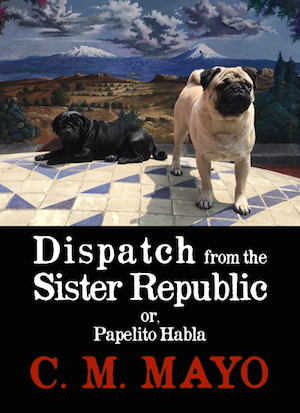 -- an embryonic and to-be-frequently updated list for English language readers, for both dyed-in-the-serape Mexicophiles and those encountering Mexico for the first time. I'll be adding more commentary and more links as well. P.S. Stay tuned for the Marfa Mondays podcasts, resuming shortly. Autumn 1962: Ed Cantowitz and Hugh Shipley meet in their final year at Harvard. Ed is far removed from Hugh’s privileged upbringing, yet his drive and ambition outpace Hugh’s ambivalence about his own life. These two young men form an unlikely friendship, bolstered by a fierce shared desire to transcend their circumstances. But in just a few short years, not only do their paths diverge, but their friendship ends abruptly, with only one of them understanding why. Can a friendship define your view of the world? 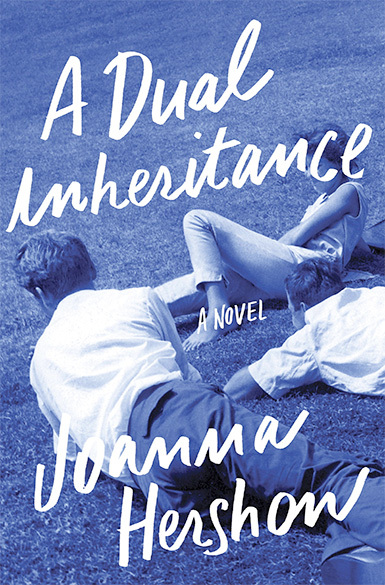 Spanning from the Cuban Missile Crisis to the present-day stock market collapse, A Dual Inheritance asks this question, as it follows not only these two men, but the complicated women in their vastly different lives. And as Ed and Hugh grow farther and farther apart, they remain uniquely—even surprisingly—connected. 1) A Dual Inheritance starts in 1962 at Harvard, and this article about an iconic restaurant (and the site of a scene in the novel) and it's closing, evokes both the place-- so international and campus-glamorous-- and a sense of nostalgia, which seems appropriately representative of this book. 2) This film, The Nuer by Robert Gardner, is the inspiration for Chapter Six. Hugh Shipley graduates from Harvard in 1963 and goes to Africa with a film crew to assist his mentor. It's there in Ethiopia where his career path changes focus and takes a surprising turn. Writing about a young man on a precipice of his life, in the middle of the bush, so vulnerable to not only the elements, but to his own fragile psyche, was challenging, and while I was writing this chapter, I'd watch this film over and over and revel in its beauty and its otherness. 3) My Pinterest board for A Dual Inheritance. What a pleasure it was to dream visually about the worlds of my novel. It didn't occur to me to even look at Pinterest until long after I was finished writing, when my imaginary worlds were so much more real than any photographs. 4) Chapter Sixteen is set in Shenzhen, China in the late 1980's. There's very little online about this part of the world during this particular time, which was fascinating, in itself. I found a great deal on Chinese delicacies. Here's a gateway into that culinary world. 5) Here is a link that's sure to amaze and inspire. Make sure to spend some time watching the incredible film footage. I went to high school with Dr. Amy Lehman, who happens to be an extraordinary thinker, doctor and leader. She is building a floating health clinic on Lake Tanganyika, which makes up 18 percent of the world's fresh water supply. The lake's surrounding communities (spanning four countries – Tanzania, the Democratic Republic of the Congo, Burundi, and Zambia) are currently without basic healthcare. Dr. Lehman and her ideas continue to influence and inspire. Recent Madam Mayo guest-blog posts include C. Marina Marhese with 5 Surprising Facts about Honey, Pollination, and Your Food and John Kachuba on 5 Literary Ghosts. For the complete archive of Madam Mayo's guest-blog posts, click here. 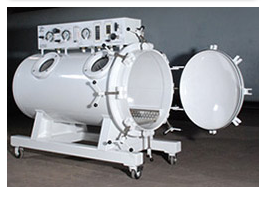 Veterinary Hyperbaric Oxygen Therapy in Mexico (Terapia hiperbárica) and etc. While waiting in the wi-fi-less veterinary clinic (admiring the parade of chihuahuas, boxers, bulldogs & mutts) I plowed through all three volumes of Mary Lutyens' study of Jiddu Krishnamurti, which make for both fascinating and perplexing reading about a both charismatic and deeply mysterious personality. The reason I delved into this is that I'm revising my introduction to Francisco I. Madero's Spiritist Manual, published in 1911-- the very same year in which he took office as President of Mexico and Annie Besant and and C.W. Leadbeater created the Order of the Eastern Star, to prepare for the coming of the Lord Maitreya, purportedly in the vehicle of Krishnamurti, then a young boy taken (at some trouble) from his natural father. The connection with Madero? Well, not much, but Madero had a lot to say about the Bhagavadgita and his personal library includes the translation by Annie Besant, among other works by Besant and Leadbeater-- including the latter's The Lives of Alcyone, about the supposed previous lives of Krishnamurti (more probably owned by Sara de Madero, given the inscription on the frontpiece, however). More anon. So the Marfa Mondays podcasts are woefully behind. Stay tuned.